NEW YORK (ABP) — I come to the escalating debate over the Islamic center proposed near Ground Zero as a Baptist pastor in the heart of Manhattan. A New Yorker. A Baptist. A pastor. Each of these parts of my identity tells me that the construction of the Cordoba House/Park51 center is not merely legal, but also wise. My wife, Jenny, and I arrived in the city just over a year ago. The city that charmed from afar with its promises of diversity, opportunity and challenge is more than we imagined it to be. New York welcomed us, just as it welcomed our first child in February, and just as it welcomes the multitudes of new residents from varying backgrounds, languages, cultures and religions. I hear many New Yorkers express frustration at the sloppiness of the public debate over this issue, with its sweeping generalizations and simplified arguments that dissolve so quickly into us/them screaming. New Yorkers value the details. And in this case, they know them all too well. They know that the site of the so-called “Ground Zero Mosque” is in fact two full city blocks from the closest corner of the World Trade Center site, located down a side street and obscured from view. Similarly, many who lost friends and loved ones would have us remember the victims themselves in full detail. They were as diverse as the city that had welcomed them — and scores of them were themselves Muslims. 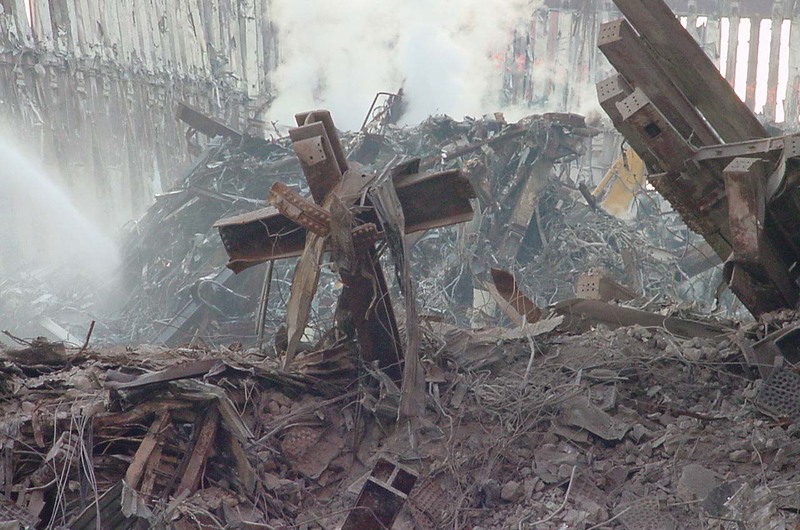 Roger, a deacon in our church, worked near the Twin Towers on 9/11. He can describe the collapse, the thick cloud of dust, the startling walk home, and the seeming war zone thereafter. He can also describe how one of his Muslim friends owns a cab and drove it from morning to night for the week after the attack, giving free rides to any and all. All religions hold the capacity to provoke destruction and hospitality alike. This is where my Baptist soul dovetails with my New York state of mind, reminding me that our affirmation of religious liberty is also an affirmation of the vitality and agency of all people. It is tied to the hope that faith will provoke the best in us. It defies those assumptions that would urge us to expect the worst in ourselves or in our neighbors. Cordoba House is permitted by our laws. Baptists know this well. However, Baptists also know that when a society begins to grant liberty grudgingly, those committed to liberty must become proactive in its name. For this reason, I affirm the legality and wisdom of the construction of Cordoba House at the chosen location of 41-51 Park Place in Lower Manhattan. In the face of particular exclusion and misunderstanding, those who advocate for freedom must respond with particular inclusion and hospitality. This facility’s construction seems a risky — even dangerous — proposition to many. But we too easily forget the greatest danger: the danger that we would structure our lives based on fear and misunderstanding and thereby limit who we can be as citizens, Baptists and followers of Christ. If we allow fear and misunderstanding to overwhelm freedom and acceptance, where will any of us find a place to sleep? Where will any of us worship and pray? Where will any of us be safe? Alan Sherouse is pastor of Metro Baptist Church in New York. He and his family live in Manhattan.